Good day Tablites! I trust I find you well this morning? And if I don’t then go and play with 8.1’s DATEPARSE function, for it will bring you great joy. It’s that time again, where we open the brown envelopes and decide, based on size and quality of bribe, who will be the next subject of the internet’s premier interview show. And this month’s deep pockets belong to..
Chris has appeared on the blogging and social scene relatively recently but has already made a name for himself with some great analysis and comment. He’s also a big help to us here at ninja towers. Plus he bought the beers the last time we met up. He’s recently joined the fine folks at The Information Lab as an Alteryx expert, giving this 2 minutes with a more Alteryx flavour. 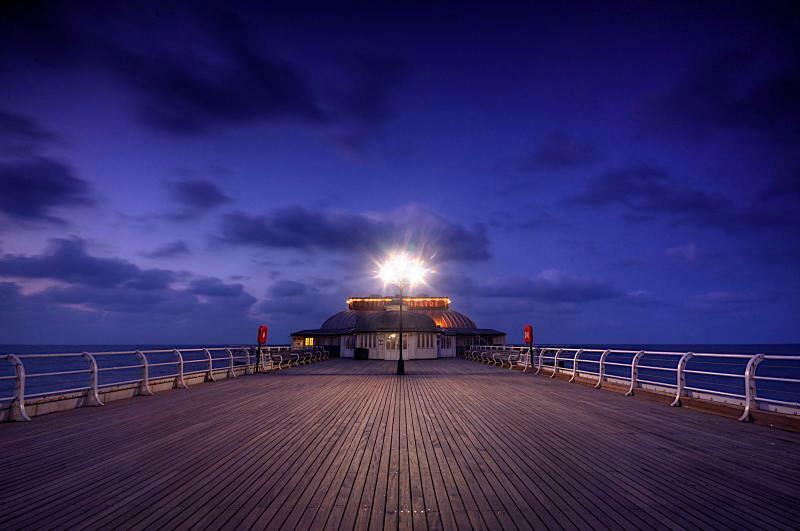 As a side note we also love Chris’s photography and hope to pick up some tips. VizNinja (VN): Good morning, how are you? CL: I’m doing good, my first few days in my new role at The Information Lab have been a bit of a whirlwind to be honest so it’s nice to take a break and chat to you. 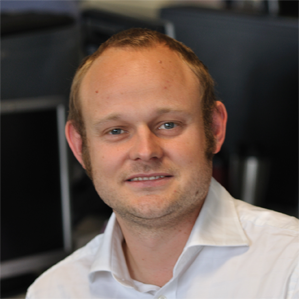 CL: I’m Chris Love, an Alteryx\Tableau Consultant at The Information Lab, Tableau EMEA Partner of the Year. 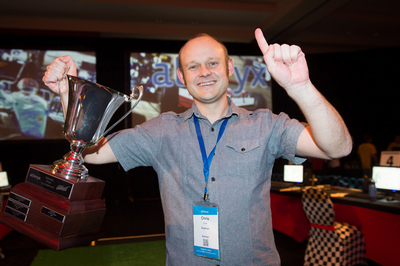 I’m also the current Alteryx Grand Prix Champion. VN: People may not have heard of Alteryx, can you quickly explain what it is? and what does being the Grand Prix Champion mean? CL: It’s hard to pigeon-hole Alteryx, it’s essentially a visual BI tool that can be used for everything quick data processes, e.g. data reshaping, through to geospatial processing like “Find Nearest” and “Point in Polygon”; it’s also got a fantastic reputation as an Analytics tool. I’ve been using it for 8 years now and I’m looking forward to showing what it can do to a wider audience through The Information Lab. As far as the Grand Prix goes, every year Alteryx hold an event at their conference where ten of the best Alteryx users in the world compete with each other over a series of business problems. Each problem is a timed “lap” and this year the three laps took in an end to end process which involved taking raw data, reshaping it and then doing some K-means clustering before presenting a final report via pdf. I can’t remember my exact time but it took under half an hour in total to do the entire process and I was lucky enough to gain enough points from my laps to come top of the leader board. It’s a unique experience, with a few hundred people cheering you on and watching your progress on big screens, and the added pressure of being in direct competition with others, it’s hard not to go to pieces and forget everything you know. I must say though that the prize of a weekend in Las Vegas and a drive in a Lamborghini at the Las Vegas Speedway made it all worth it. VN: How have you seen Alteryx make an impact on businesses? CL: Alteryx empowers people. Ordinary business users are often hamstrung because the data they need either isn’t accessible to them because it needs specialists to extract it, or the data is available in Excel or online but is in the wrong format. Even solutions like Tableau, which are so easy to use, still require data to be formatted in a certain way before it can be used. Alteryx changes that by providing a simple drag and drop interface which allows users to use a plethora of tools to import, transform and analyse data, and the ability to share the results locally in any format or via the cloud. I once presented to a team who wanted to automate a handful of reports – I was able to build out their solution in just two hours in the course of a demo – which sold it to them; the next time I met them they were batching over 10,000 reports daily. I was blown away. VN: How did you first become exposed to Tableau? CL: I must admit I had heard of Tableau but it wasn’t until Alteryx added the capability to write to .tde format that I became fully aware of it. As soon downloaded a trial then I knew I had something that complimented Alteryx perfectly, so I made it my mission to get myself a copy, which I managed, and I started learning it in my spare time using resources like the Tableau community, Blogs and Tableau Public. With Alteryx to help me format data I found I was able to build Tableau dashboards quickly and easily because I didn’t need to worry about blending and formatting in Tableau itself, and the spatial elements I was able to add through Alteryx received fantastic feedback from even seasoned Tableau professionals – which only encouraged me further. CL: As Spiderman was warned “With great power comes great responsibility”. BI is changing, business users are being empowered but with that comes a sense of responsibility otherwise there will be a backlash from IT. As more users get the tools to build data and analytical processes then users, and software vendors themselves, have a responsibility to ensure that the answers that come out of those processes are still meaningful and useful. If I can build a regression model without any code then does it mean I should? It depends, for example, on whether I understand what overfitting is. CL: I’m a keen photographer, I don’t get out as often as I should but when I do I have achieved some pleasing results – I even had some luck displaying my photos in exhibitions and have even sold photographs to America. Have a look at my site. VN: Thanks for your time, see you soon. That’s it for this episode. Tune in next time for more adventures in BI. Ping me @paulbanoub if you fancy participating in a future episode. This entry was posted in 2 Minutes with and tagged analytics, bi, data, discussion, easyjet, interview, opinion, Peter gilks, science, slalom consulting, tableau, visualisation by paulbanoub. Bookmark the permalink.